Malaysia IT Fair is back from 28th to 31st August 2015 at Mid Valley Exhibition Centre where you can grab lots of great bargain and promotions, join activities, attending seminars for free and lots more. Long list of business products to showcase and Companies to network. The entire hall 3 has been allocated for more than 30 different vendors to exhibit their products and services. Corporate partners are able to launch and demonstrate new business solutions, reach out to target audience, build database and gather potential leads. Malaysia IT Fair will also organizing seminar with need-fulfilling topics that are up-to-date. 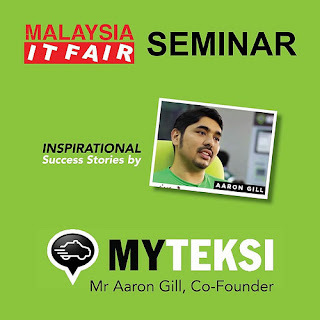 The most outstanding speaker for the seminar at the IT Fair is Mr Aaron Gill, Co-Founder of MyTeksi. 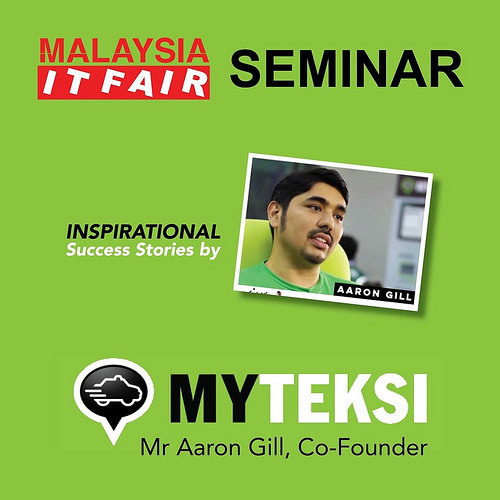 He'll shared his experiences from his previous start-up ventures and the challenges faced by MyTeksi. What is his aim and how he is going to set-up his marketing strategy ? 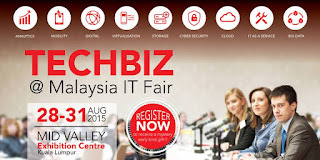 Check all this from him at Malaysia IT Fair on 29 August 2015 (Saturday) at 1pm. Remember to join the daily auction from only RM1.00 daily at 7pm to get great discounts. Wow... 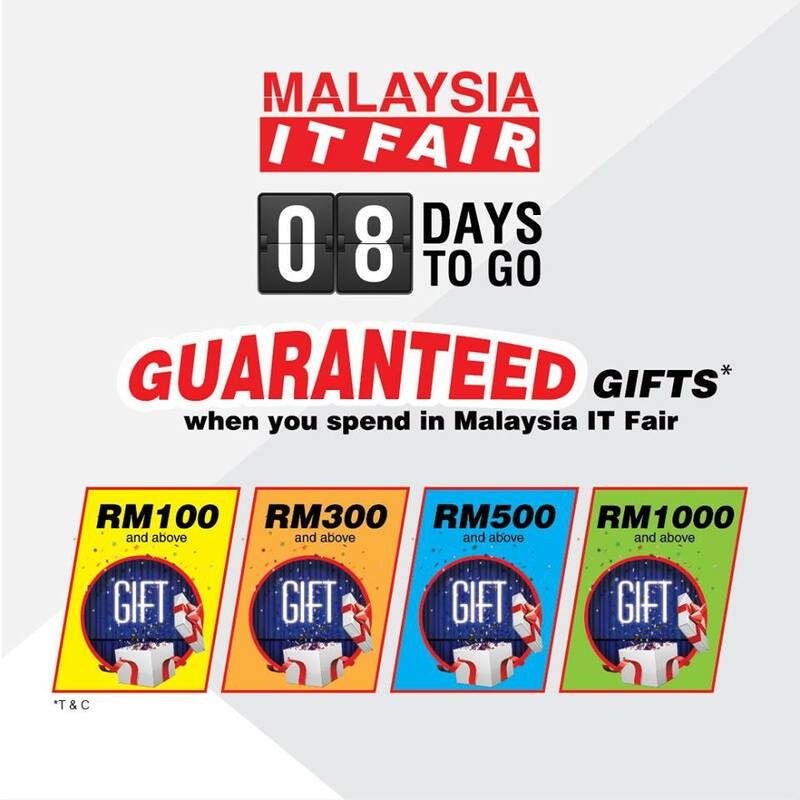 Guarantee gifts given for purchase RM100. 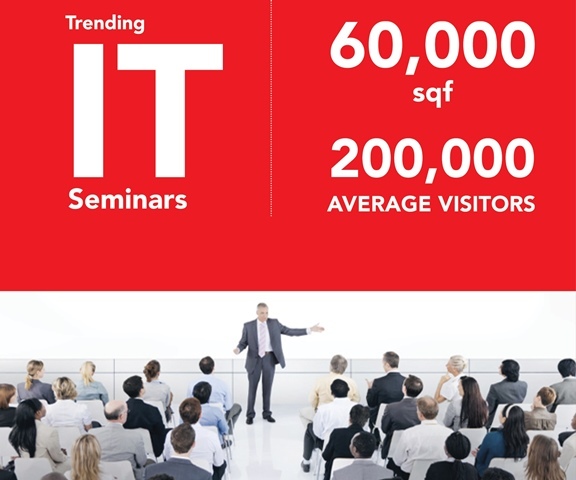 To check the schedule for all the seminars that will be held for these 4 days, do please click HERE. 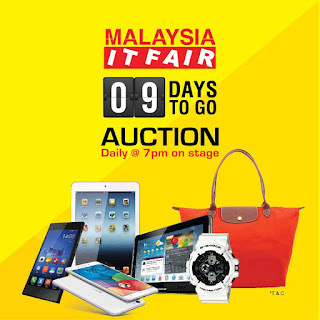 Join me now at Malaysia IT Fair to get everything that you had wanted. 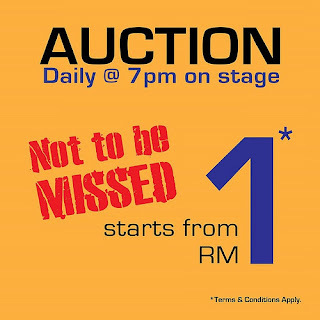 For more information, do refer to their WEBSITE and FACEBOOK. Remember to register yourself for the seminar to get a mystery gift while stock last HERE.